Hey everyone! Is it just me or has this week flown! 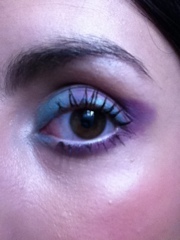 Todays look is bright and colourful! 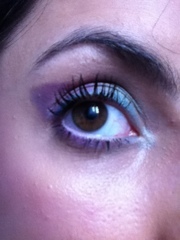 A mix of purple and turquoise! 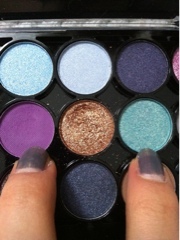 I used my MUA Immaculate palette. A matte turquoise for my base and first half of my lower lash, then a matte purple for the edge of my lid and second half of my lower lash line. 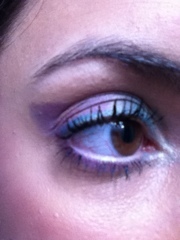 A flick of blue eye liner, mascara and white liner for my inner lash line to brighten it up! Hope you all like this and that it brightens your day up. Looks amazing on you, lovely! !